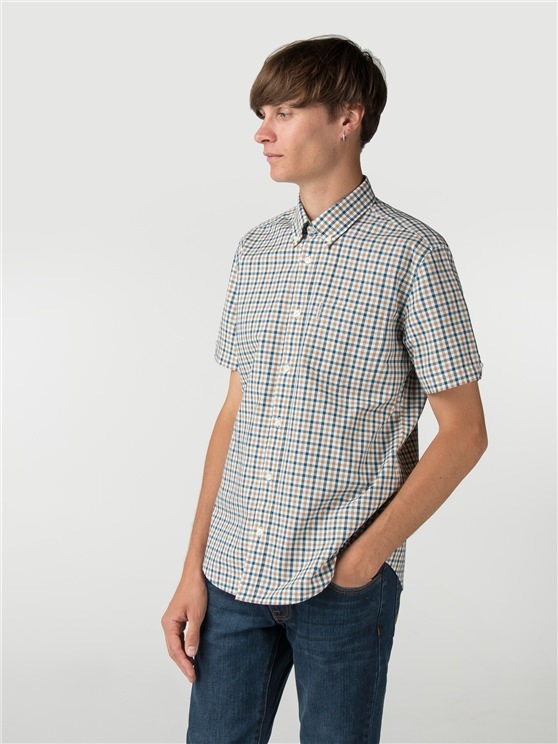 The Ben Sherman Men's Gingham shirt is an icon of men's fashion. 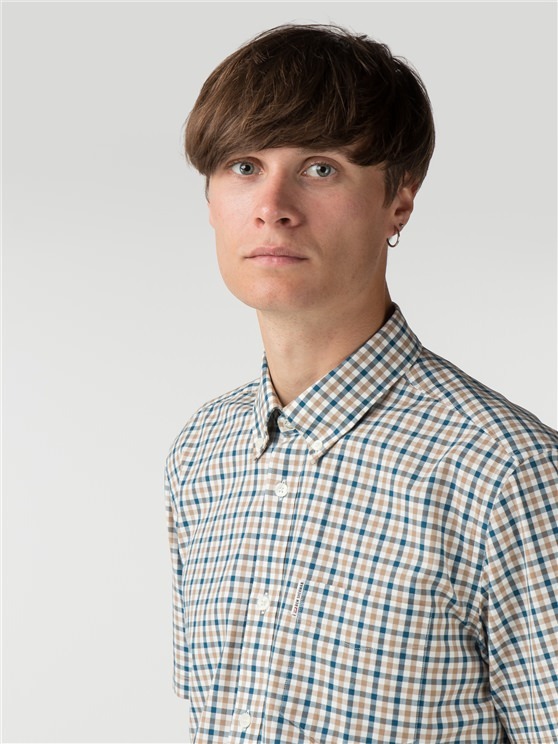 In an eye-catching blue and white fabric in a house gingham pattern, this men's short sleeved Oxford Shirt is a statement look for any wardrobe. 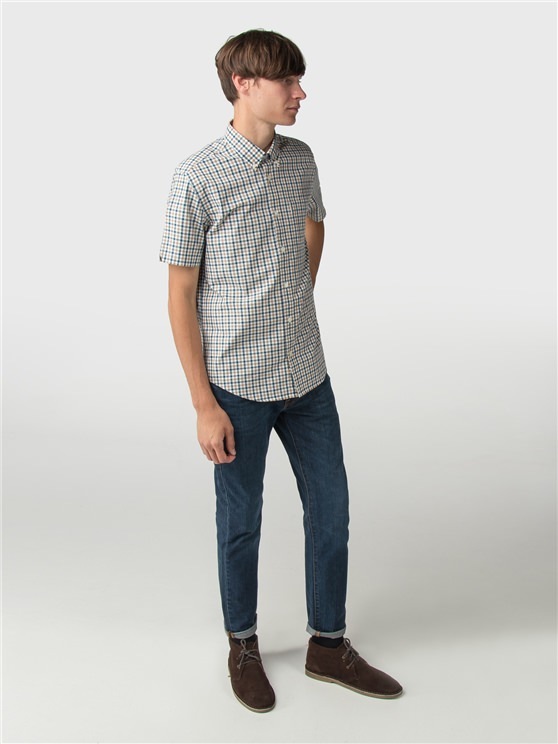 With a regular mod fit, in premium cotton, the legendary Ben Sherman short-sleeved gingham Oxford shirt features the iconic branding, a two finger button down collar, locker loop and a back box pleat, with a generous spade chest pocket. All coming together to create a true, mod style statement; as it has since 1963. 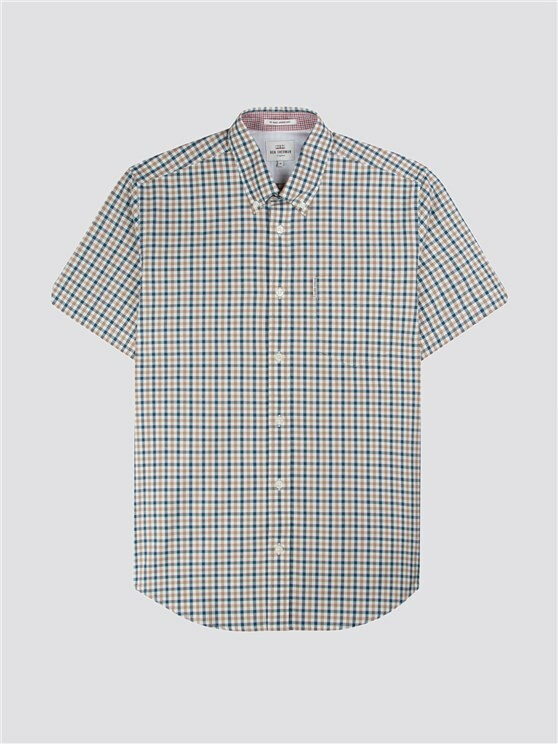 This is the true original - and the ideal men's gingham shirt for any occasion. 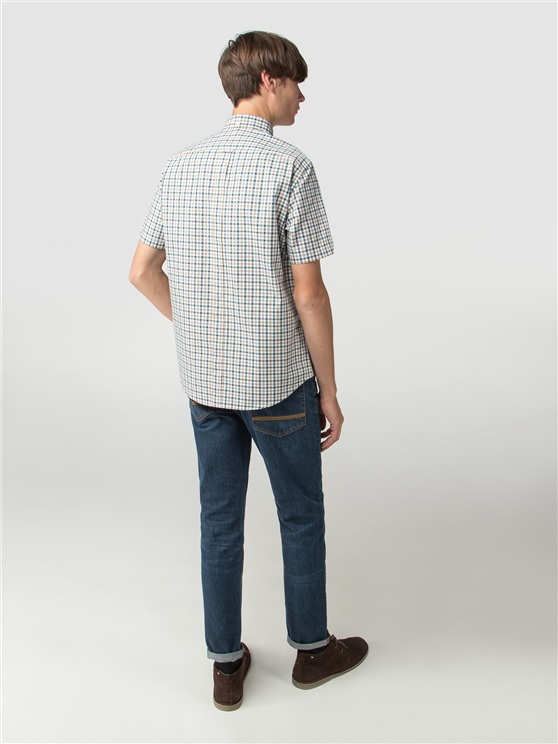 A true statement shirt for men, with the classic mod style from the original heritage brand.
" Excellent. Good fit. Good price. " " Excellent product great fit "
" Fast efficient service. High quality products at great prices "